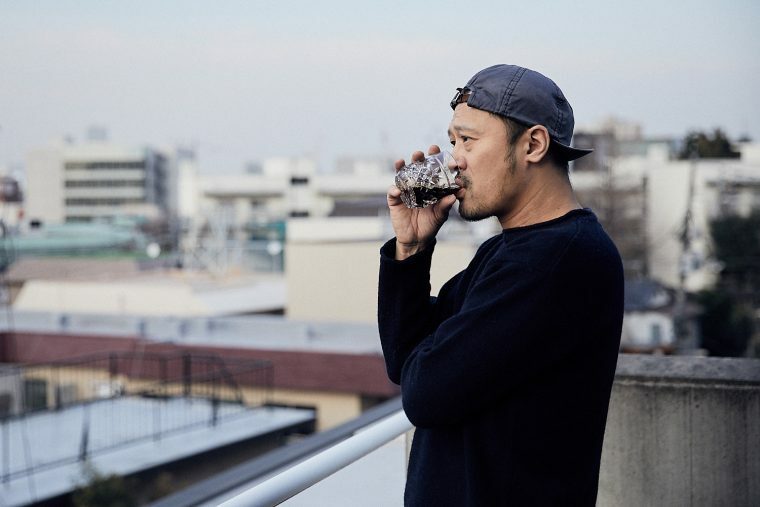 Paik, raised and educated in British Hong Kong, is one of Tokyo’s most in demand art/film directors, having worked with Yohji Yamamoto, UNIQLO and SMAP to name just a few. 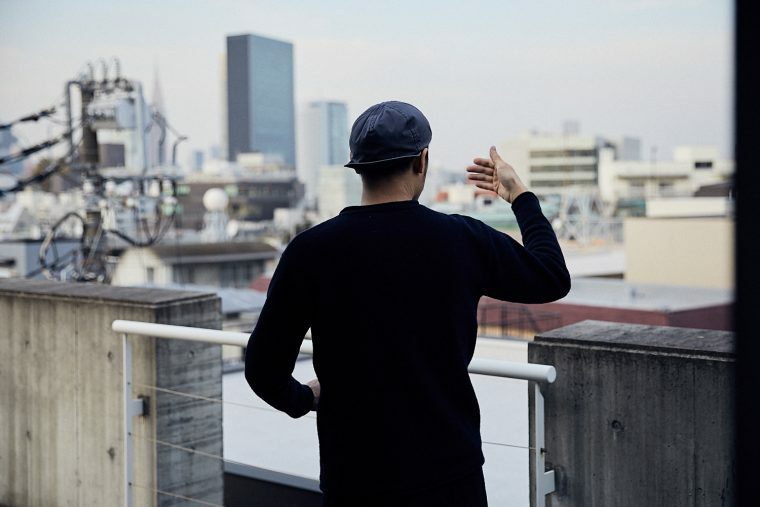 Even so, he has somehow found time to build two coffee shops in the Harajuku/Omotesando area over the last 18 months, and still allocates time each day to the coffee roasting process. We visit his home to watch how he rises and shines. 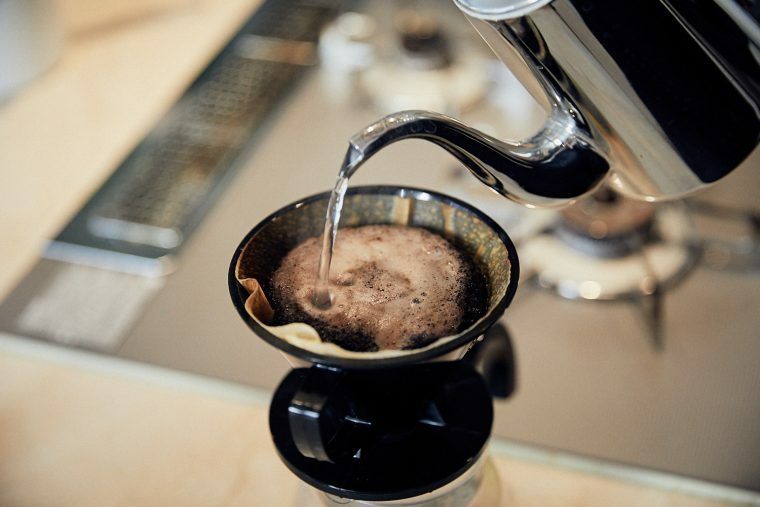 Paik likes to keep it as simple as possible when it comes to coffee at home. 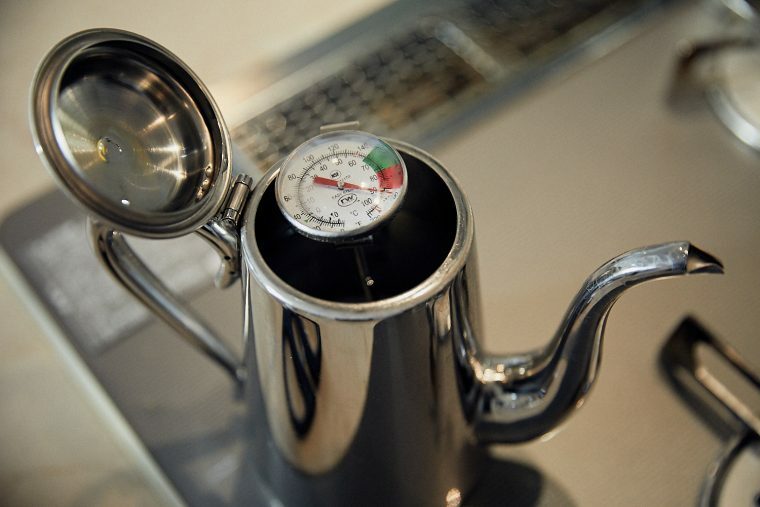 “I’ve tried almost every dripper and kettle there is. Over the years however, I’ve come to realize that the delicate parts of coffee equipment are limitless. 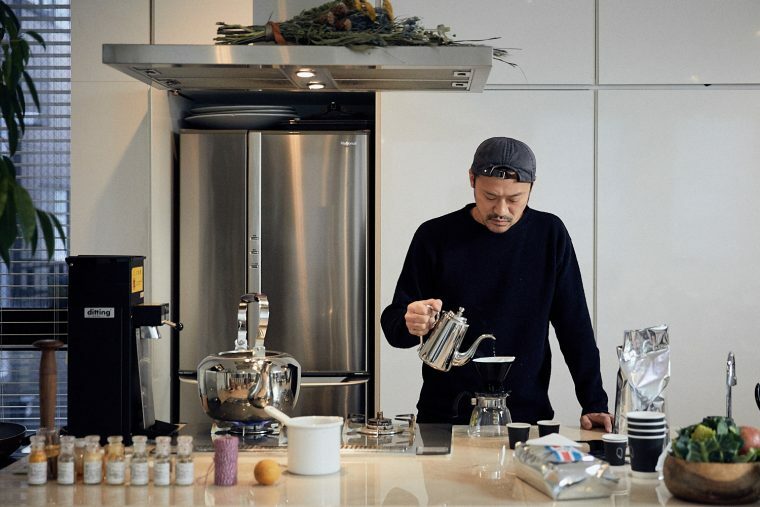 It’s like driving someone else’s car – you can’t control things easily.” Paik seems to have settled with the Kono Meimon dripper and Yukiwa pot. His pour over style is unique. 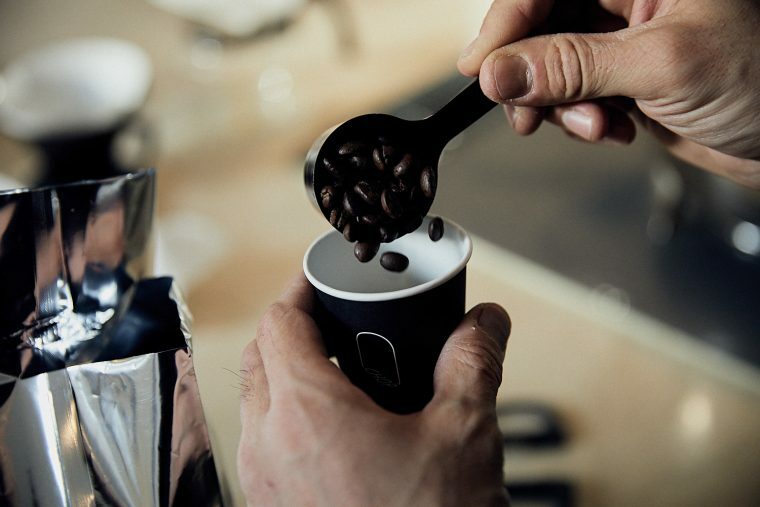 He “throws” the water into his dripper, which helps ensure the coffee grounds are completely soaked. 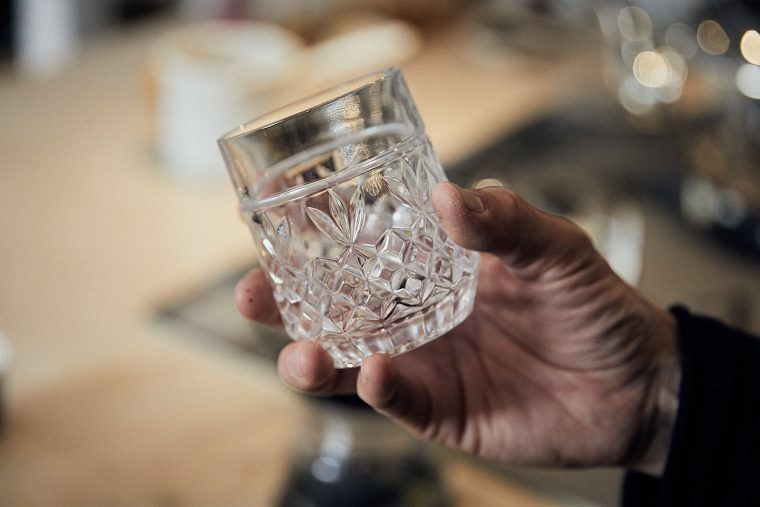 Paik enjoys his coffee in the morning out of a Bacccart crystal whiskey glass. “I am king of breaking things and have a tendency to lose things around me. Nothing lasts. So, someone gave me a heavy Baccarat glass, which I’ve already dropped it several times. 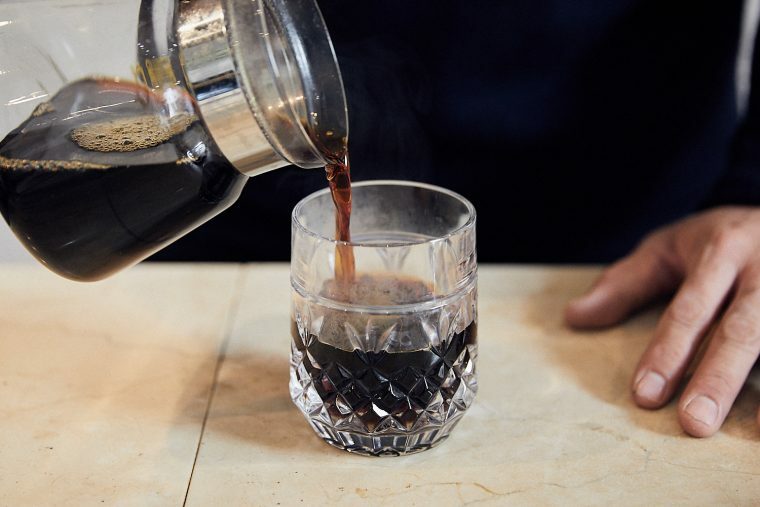 It’s unbreakable.” Paik also mentions that seeing the color of his coffee is a bonus. 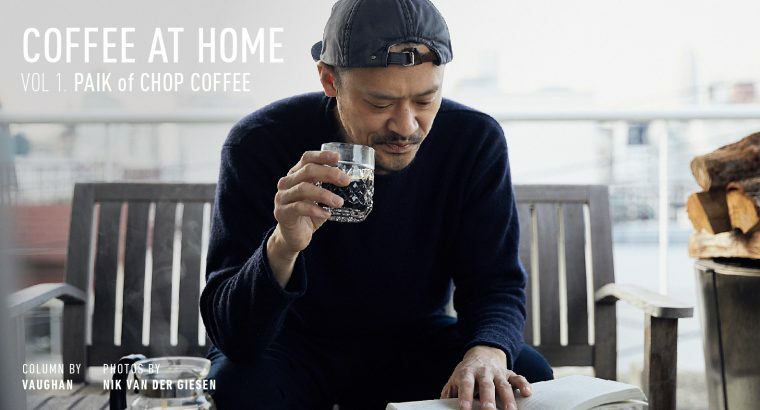 Paik is an avid reader, usually always taking time to read over his morning coffee. He just finished Monk Who Sold His Ferrari. “I thought this was some remarkable book but half way through I realized that this book is about raising a child. 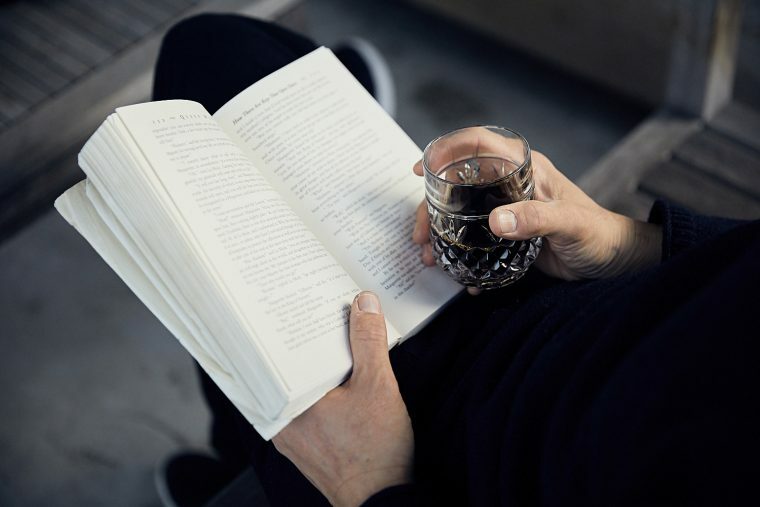 I don’t have any kids, nor do I own a Ferrari – so I’ll just have to use what I’ve learned to advise someone to shave their head and sell their Ferrari to kids or something.” Recently, he started reading Queen Margot for the second time. 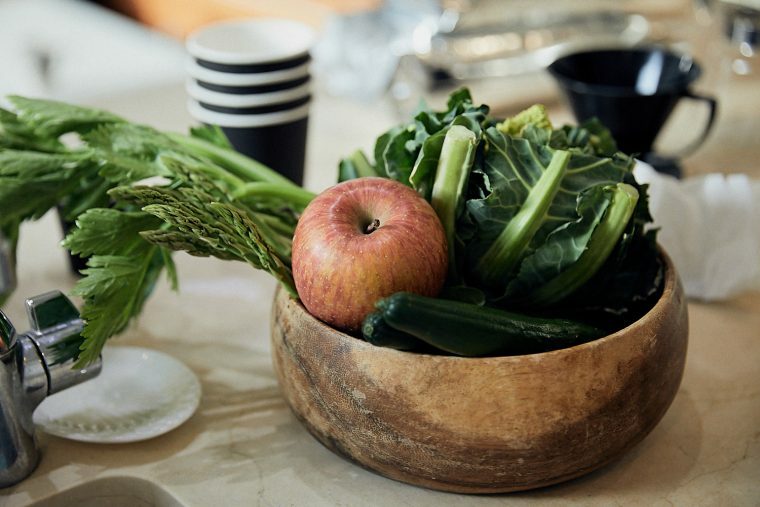 Thanks Paik for sharing your morning with us at Good Coffee. 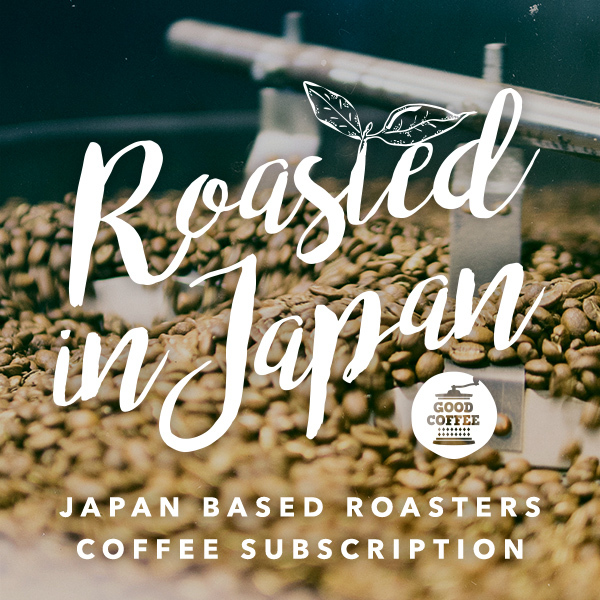 For a limited time, we’re excited to have gotten our hands their COSTA RICA beans which you can purchase here, roasted by Paik himself.